A stay at Hotel Corte Contarina places you in the heart of Venice, within a 15-minute walk of Bridge of Sighs and Doge's Palace. Featured amenities include a computer station, express check-in, and express check-out. When you stay at B&B Forconensis in Sant'Eusanio Forconese, you'll be 10 minutes by car from Lake Sinizzo. The front desk is staffed during limited hours. Free self parking is available onsite. Located in Policoro, Marinagri Resort is by the sea, within a 10-minute drive of Policoro Castle and National Museum of Siritide. Free self parking is available onsite. 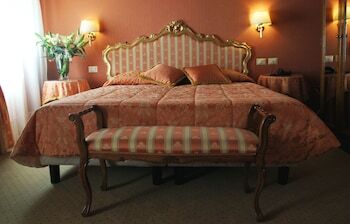 With a stay at Casette Monti in Rome (Monti), you'll be steps from Colosseum and 7 minutes by foot from Trevi Fountain.